Rewards:You will earn 7 rewards points for purchasing this item. 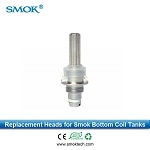 OFRF nexMESH Triple Density Mesh Coil utilizes Next Generation Mesh Coil Technology to achieve enhanced flavor and lightning fast heating. for sub ohm vaping. In addition, the unique triple density mesh netting maximizes heating surface area to provide intense flavor and clouds. 10pcs in a pack.